Van Ness Feldman invites you to participate in a webinar on the possible implications of the Joint Select Committee on the energy sector, presented by members of Van Ness Feldman’s bipartisan public policy team, Ben McMakin, Michael Platner, and Lisa Epifani. The Joint Select Committee process will likely reveal trends in future budget and policy directions that are worth monitoring for longer-term energy sector risks and opportunities. This webinar will focus on the following issues. We also invite questions from participants to shape the presentation. Joint Select Committee 101: Who are the members? What is the Joint Select Committee mission? What is the timeframe for the Joint Select Committee to act? What is the federal funding outlook for various energy-related programs in the near term and over the next decade? 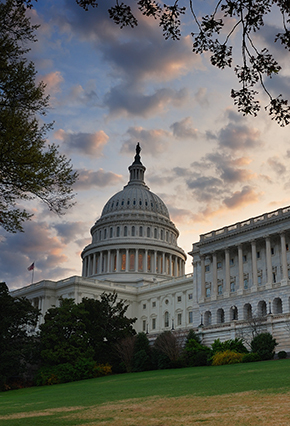 Will the Joint Select Committee consider significant tax reform including energy tax provisions in the near and long-term? What strategies can energy companies employ to address potential vulnerabilities and promote their interests?